Around one out of every three U.S. adults (on whom a credit report exists) have a credit score of 600 or less. And that’s the line of demarcation between “bad” credit and “fair” credit. That’s an amazing statistic. It means that a huge market exists for lenders willing to approve bad credit loans for people with less than perfect credit. And the truth is, many people with below-average credit ratings are fully able to repay short-term cash loans. A financial rough spot in their past may still be hampering their credit score, but that doesn’t mean they cannot or will not make good on their monthly installments. At Bonsai Finance, we provide a critical service to millions of Americans who need quick loans for short-term emergency expenses. Our personal loans for people with bad credit help you avoid late fees on other monthly bills when you have a short-term cash flow problem. Personal loans can also assist with emergency home or car repairs, buying a new car, paying college tuition and related expenses, and much more. What Are Personal Loans for People With Bad Credit? A personal loan for bad credit is simply a no-collateral monthly installment loan. It is typically a small, short-term loan as well. 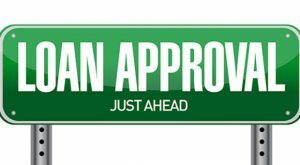 We do not require any specific credit score for you to get approved for one of our personal loans. A final key distinction to note about personal loans is that the cash is delivered directly to your bank account. And you can use it as you see fit. This is unlike certain other loans where a bank pays, say, a contractor to fix your leaking roof but you never actually have the borrowed money in hand, or at least, are not allowed to spend it anyway except as stipulated. When you have subprime credit, it is often nearly impossible to qualify for a traditional bank loan. Instead, you are left with various types of “alternative” financing to choose from. Many people resort to payday loans, but this is almost never the best option. Personal loans no credit check, also called installment loans, have many benefits, including some that payday or title loans do not. No collateral is needed to secure the loan. You can borrow more and get more time to repay. No credit rating is required and no credit check is run. You can process the loan entirely online, or at most, you might have to fax a document or two. The loan request is simple and asks only for basic and relevant information. You can get your cash deposited to your account in as little as one business day. With direct debit, you need not worry about any payments being late. Paying your monthly installments on time can help your rebuild damaged credit. How Do I Qualify for a Personal Loan With Bonsai Finance? You cannot be in bankruptcy. You must have an active U.S. bank account. You must have an active mobile phone on which you can be called or texted. Your monthly payment cannot exceed 15% of your estimated monthly income. You must submit proof of income and must make at least $500 per month. Your bank balance minimum over the last 3 months must not be lower than what your monthly installment would be. These are the main requirements. They are very minimal and simple to understand, and most customers manage to fulfill them. Given that there are many options out there, why choose Bonsai? The answer is that Bonsai Finance went into business, to begin with to fill a void in the financial market — flexible, fast, and affordable personal loans for people with bad credit. We believe, and our clients agree, that we have met that goal. We personalize your same day loan options as much as possible, keep our terms simple, process your request and deposit your cash fast, and combine our other services with excellent customer service. If you’ve ever considered taking out a loan, you’ve probably come across the various requirements that make it challenging. In today’s banking economy, finding a reputable lender is not the problem. It’s getting accepted by those lenders that pose some trouble. The stress of getting accepted by the lender of your choice is only doubled for people with bad credit. But you don’t have to deal with this situation on your own. At Bonsai Finance, we’re here to help you navigate the lending world and make it easier for you to find loans for people with bad credit. Why Do I Need Loans for People with Bad Credit? In an ideal world, no one would need extra cash. Unfortunately, everyone goes through those situations where you have to pay unexpectedly. This usually happens in the form of unexpected expenses. Hospital bills, for instance, can be totally unexpected. Aside from hospital bills, extra charges can come from any expense, whether that’s for school, business costs, or home repair emergencies. This is where you might be interested in getting a loan to pay back those costs. Even if you don’t have an emergency, getting a loan from a bank is difficult when you have bad credit. There are several reasons people can have bad credit, and it’s not only because you failed to pay your fees on time. Some people may have just not built up their credit score as much. Young people, especially college graduates, look into loans for bad credit simply because their credit history is still fresh. New credit scores are often poor compared to those accumulated over several years. This makes it less likely for you to get a reasonable loan. Others deal with a poor credit score because they only use one credit card. While using several cards helps your score shoot up tremendously, not everyone has a need for multiple cards and bank accounts at once. Building up a credit score takes time, and time is a commodity that not everyone has. Understanding and meeting the different requirements various lenders have set up is a tedious job. Figuring out who can and can’t help you shouldn’t be a trial-and-error process, especially when it comes to securing loans. Not only does your Bonsai Finance representative help with finding a lender who’s right for you, but they also guide you through the whole process of getting set up with terms and conditions. Your monthly payment plan should be less than 15% of your estimated monthly income. Submitting proof of income that meets at least $500 per month. Once you meet these simple qualifications, your Bonsai Finance representative can assist you. Unfortunately, banks and lenders rarely look at your situation when deciding to loan you money. Whether you’re in a tough spot or not, lenders have strict contracts with harsh consequences. You’re still required to pay the extraordinarily high interest rates and even set up collaterals. Unlike traditional banking methods, Bonsai Finance understands that you wouldn’t be applying for loans for people with bad credit if you weren’t in a difficult position. Bonsai Finance offers several different forms of personal loans, including online methods. Finding the best loans for people with bad credit depends on several things. Starting with the amount you want to borrow, other important factors are interest rates, loan term lengths, payment times and amounts, and additional restrictions. Taking all of these aspects into consideration requires the help of an expert. Instead of having to shift through several lenders on your own, Bonsai Finance has the experience and expertise needed to do that work for you.